‘Forbidden Lore’ is the first EP from the Greek symphonic metal band of the same name. 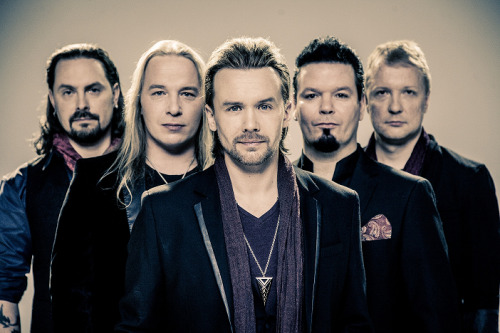 Forbidden Lore describe their style since as a mixture of symphonic metal with progressive metal and soundtrack music. There are only three tracks on here, which is just about enough for the listener to get an idea of what this band is all about. First up is the melodic Endless Run which definitely has that fantasy soundtrack feel to it. 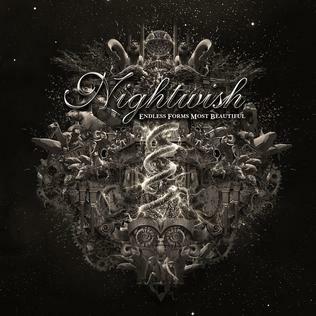 Nightwish and Epica comparisons are pretty much inevitable due to the melodic female vocals (please note that “melodic” in this case doesn’t mean “operatic”). Luckily Georgia Mavrantza has a good voice which suits the music. There are some progressive elements audible in the guitars. Shadows on Ice is a much more straightforward piece of symphonic metal with equal emphasis on both the vocals and the orchestration. There is only a small portion of the song that features the progressive guitar parts. Last one is Grace In Our Fall, which really brings out the high notes in the vocal department demonstrating the singer’s impressive range. This is probably the most symphonic, orchestral and the most fantasy soundtrack -esque song on the EP. In summary, it’s difficult to judge a band based on just three tracks. I now have a better understanding of what Forbidden Lore are trying to be. Their music can be described as being metal in the same vein as the more established bands Epica and Nightwish. So if you like these then there is a very good chance that you will enjoy Forbidden Lore. ‘Nocturnal Resurrection’ is the debut album from the American symphonic metal band Graveshadow. The band was originally formed in 2012 by rhythm guitarist William Walker. This album has been mixed and mastered by Emil “Nightmare” Nodtveit (Deathstars) and it features Ralf Scheepers (Primal Fear, Blackwelder) as a guest vocalist on one of the tracks. After the harmonious keyboard intro, the guitars enter the frame and singer Heather’s powerful vocals ensure that you will not be forgetting Namesake any time soon. Unlike many other female metal vocalists, she doesn’t stick to just one style but prefers to show off an impressive vocal range with both the operatic (read Nightwish, After Forever -style) and death metal growls on offer. Yes, that’s right – death metal growling… the type that Angela Gossow used to do with Arch Enemy. This second style adds a touch of aggression to the beautifully composed symphonic melodies and the catchy guitar tunes. Speaking of catchy, that’s probably the best way to describe Lycan Lust. This track is less about the keyboards and the emphasis shifts towards the thunderous pace of the thrash metal style, guitar riffs and drums and of course the compelling vocals of Miss Heather Michele. Don’t let the gentle, sweet melodies fool you, for beneath this innocent-looking mask lies a demon that bites. If you want to hear the more tamed, gentle side of Graveshadow then Winter’s Come to Call and Fading are the tracks for you. The Doctor Who -inspired track Blink starts off as another fantasy themed, symphonic metal song but then develops more of the aggressive feel due to the predominance of the guitars and the harsh vocals. Overall, this album is bound to attract a lot of attention. That’s not to say that every symphonic or gothic metal fan will like it. It’s not for everyone and if you’re looking for something akin to Within Temptation or current Nightwish, then I’d advise you to steer clear of this. If however, you’re like me – bored with the current state of symphonic metal scene and you’re looking for something experimental and unique then you should give Graveshadow a try.